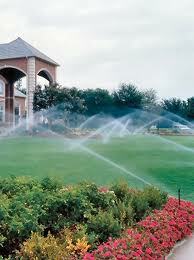 If you are looking to install a sprinkler system yourself we offer consulting and design services and pipe installation. Contact us today and find out what we can do for you! CityWide Sprinklers also offers pipe, conduit and wire installation for any project you may have. Our equipment has the ability to pull wire (low and high voltage), conduit or pipe to meet a variety of needs. For example, CityWide can run power or water to a garage, shop or shed without damaging the landscape by digging or trenching in these lines. We offer customized line pulling for any application.